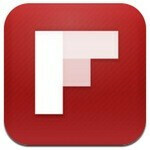 Flipboard is an application that iPad owners are likely familiar with. In a nutshell, it masterfully transforms the information that is being shared with you – news feeds, social network updates, and the likes, into an elegant magazine with a personal touch. 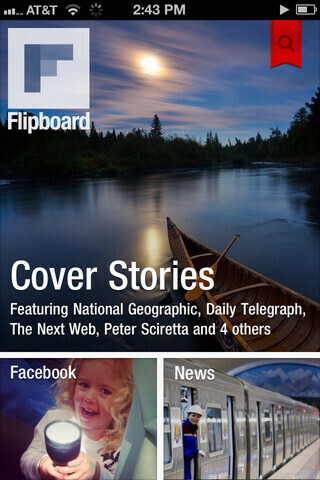 And the app just got even better – Flipboard has gone down in size and is now available on the iPhone too. 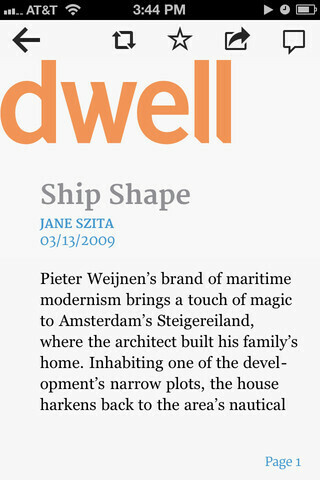 Besides being modified to fit the iPhone's screen, Flipboard has also received a new feature that the iPad version has yet to get. Based on the type of content that you read the most, the app compiles a selection of cover stories – stories that are most likely to be of interest to you. 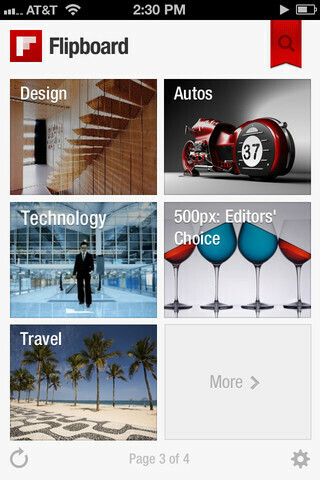 And the more you use Flipboard, the smarter it gets. Of course, social network integration is still present, and the global search bar can dig through all of your accounts. If you have used Flipboad on an iPad before, your content will be automatically made accessible on the iPhone as soon as you log in. And if you have not tried the app yet, feel free to check it out by hitting the source link below. And it's beautiful. 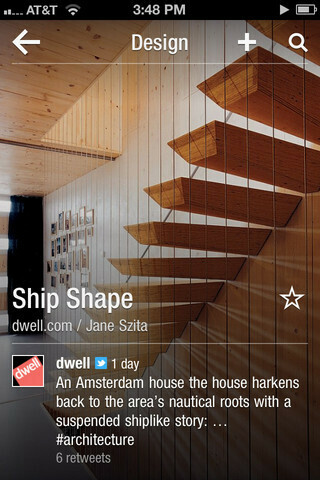 I love Flipboard. It makes looking through the news and social networking sites much more fun.